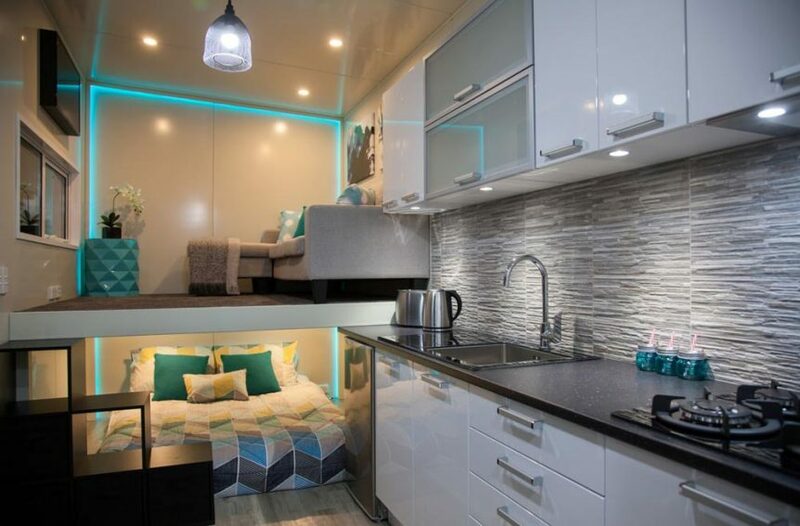 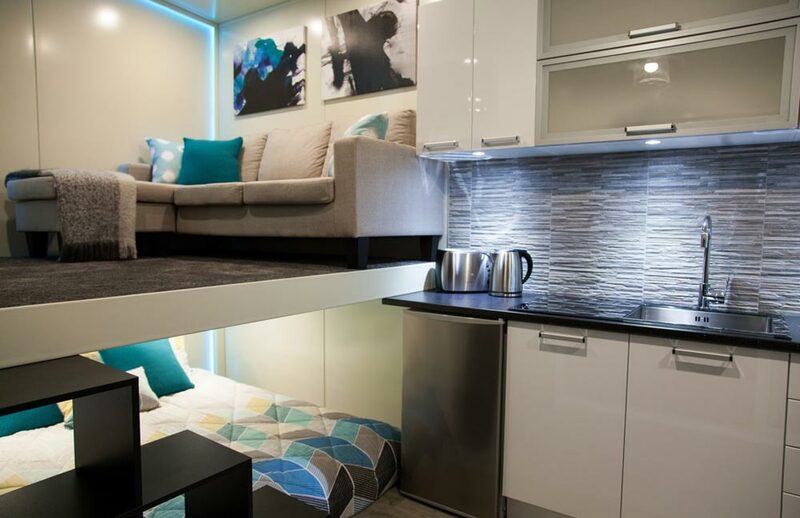 This gorgeous custom tiny home was built by Absolute Tiny Houses NZ. 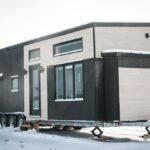 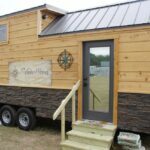 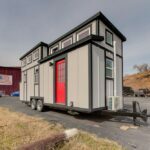 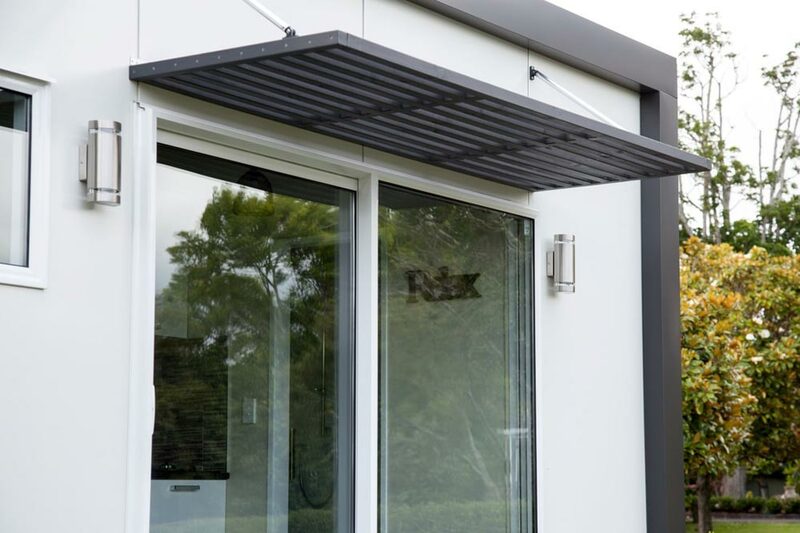 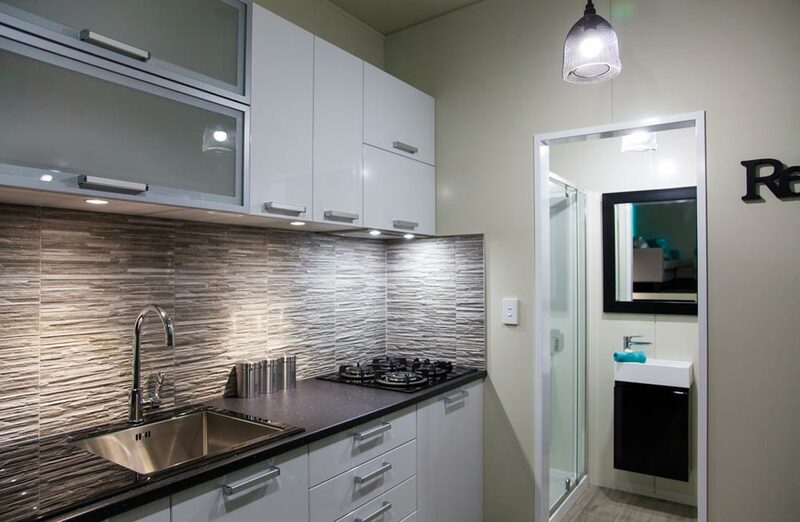 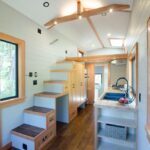 The New Zealand tiny home builder used modern finishes including high gloss thermal wrapped cabinets, LED lighting, a granite sink, and gray stone backsplash. 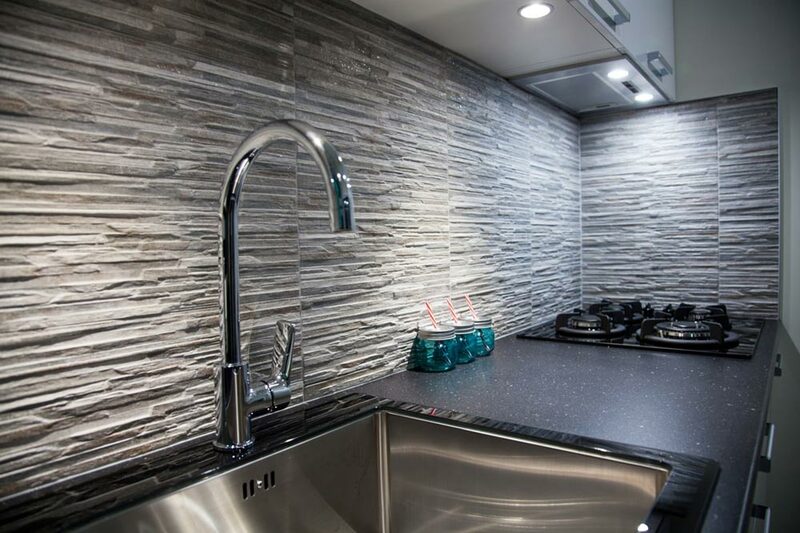 The kitchen includes a gas cooktop with extractor fan, plentiful storage space, and soft close cabinet doors. 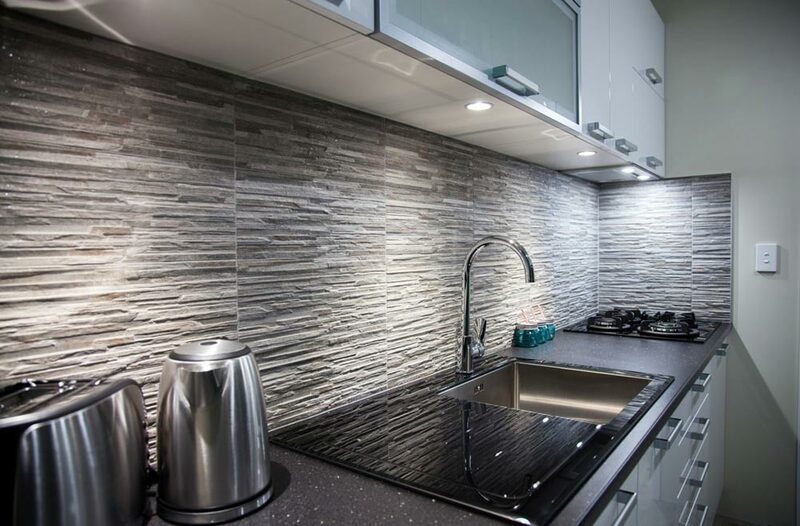 Lightweight wood texture flooring was used throughout the 6-meter home. 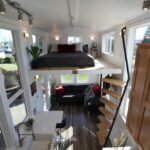 The home features an inverted loft with main floor bedroom and lofted lounge area. 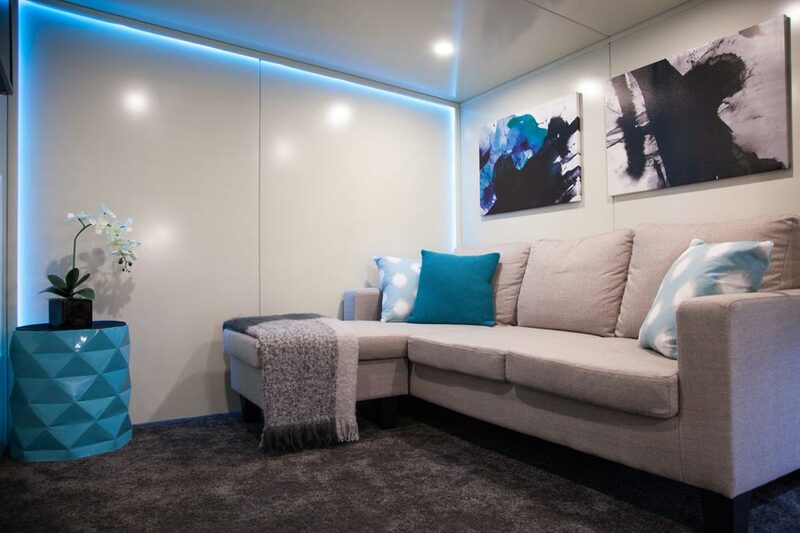 The lounge is access by storage stairs and has room for a full size couch and an LCD TV located above a window. 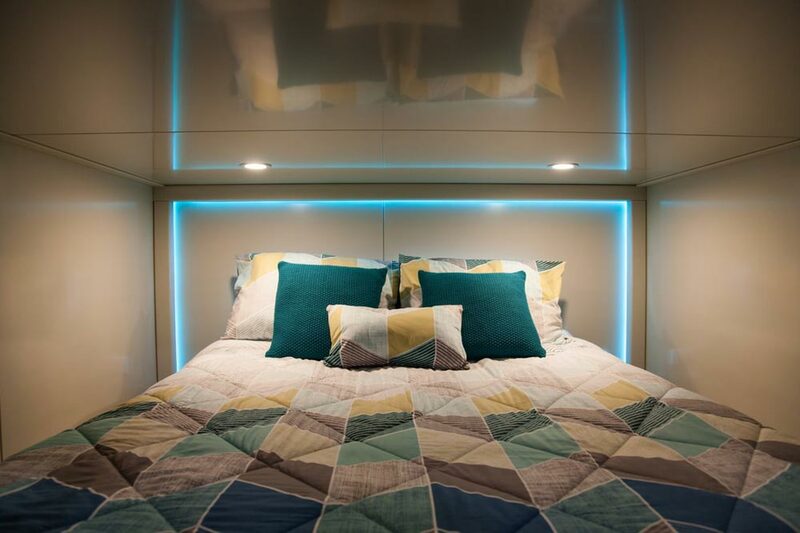 The bedroom and lounge both have LED lighting with different color options. 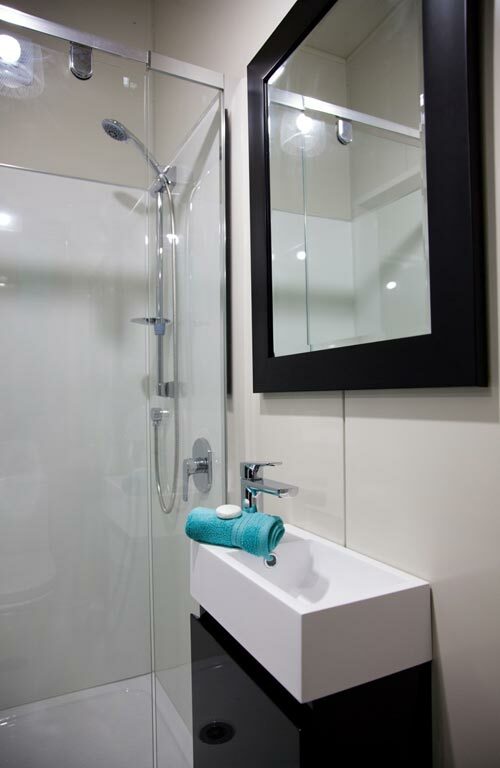 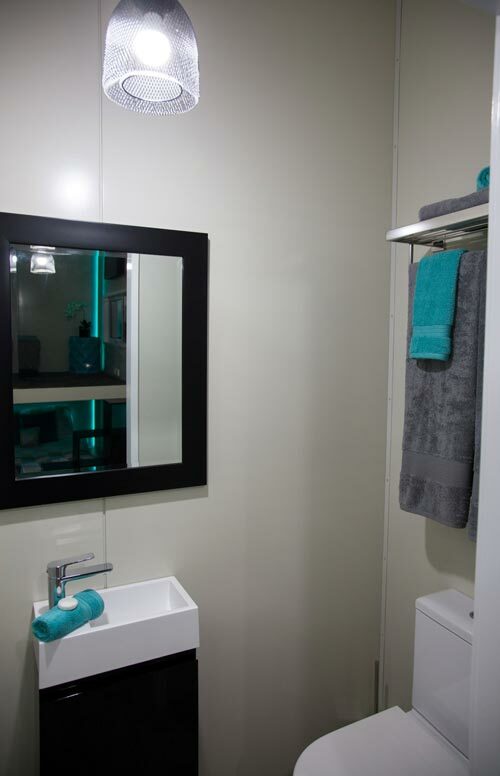 In the bathroom is a full size shower with glass door, high gloss wall vanity, and modern toilet. 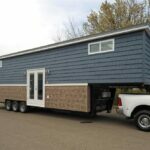 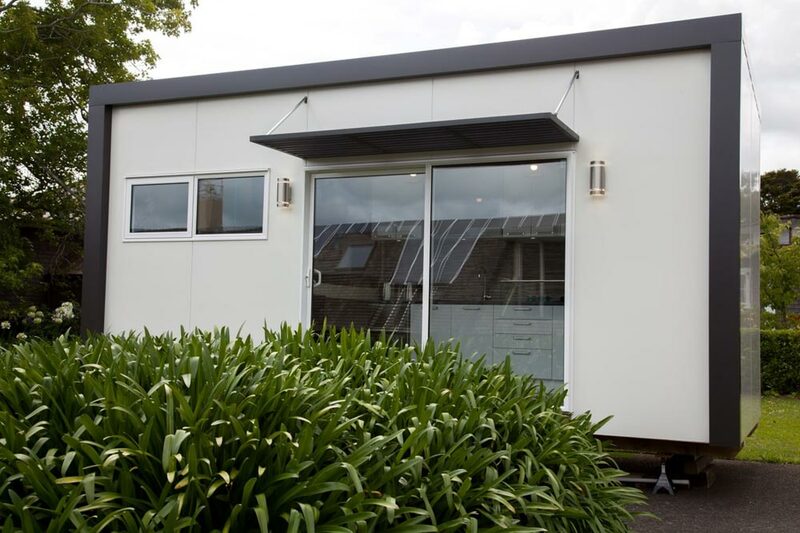 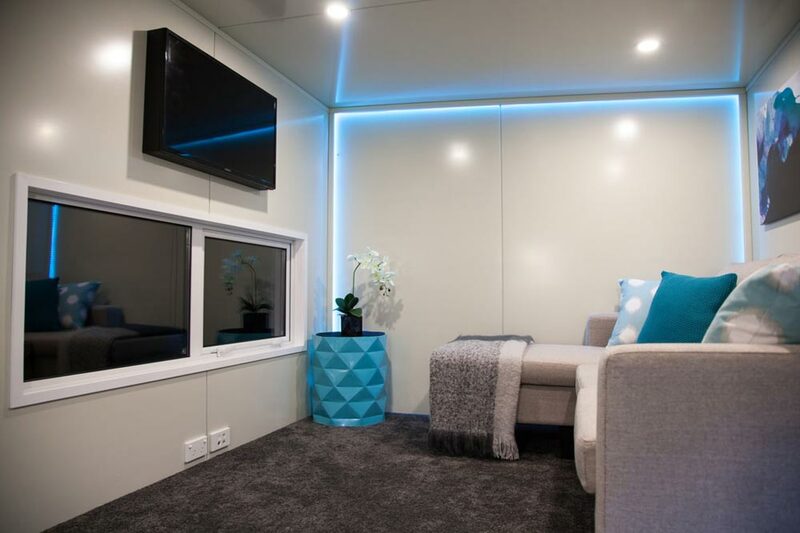 For more information about this custom tiny house, please contact Absolute Tiny Houses NZ.